(Medical Xpress)—Imagine that your doctor knows from evidence-based studies that if he tells you about certain, small side-effects to a particular drug, you are significantly more likely to experience that side effect than if he did not tell you about it. Given the three values of autonomy, beneficence, and nonmaleficence, what should he do? On the flip side, what if your doctor knew that statistically patients who are gradually weaned off of a chronic pain medication by decreasing their dosage until it is a placebo will still experience relief from their pain as a result of habituation? Should the doctor lie to you about your dosage in an effort to help your chronic pain while mitigating side effects? Mark Alfano, bioethicist at Delft University of Technology in the Netherlands writes a compelling argument for re-defining our views of placebos and placebo effects and how, by defining them in terms of classical conditioning, expectation fulfilment, and somatic attention and feedback, the ethics of informed consent changes by doing so. His is the target article in this month's issue of the American Journal of Bioethics. Traditionally "placebo effect" is an umbrella term for something that produces nonspecific effects. Alfano specifies three definitions often used in the literature: Shapiro and Morris's definition, the American Medical Association's definition, and Adolf Grunbaum's definition. While each has its distinctions, they all define placebo effects in negative terms. However, placebo effects are real phenomena caused by neurobiological and psychological factors, many of which are specific. Research provides many examples of how certain interventions or suggestions, considered placebos, produce specific results. Alfano lays out three psychological mechanisms that are known causes for placebo effects. The first is expectation-confirmation. This is when a patient believes that a certain treatment will help in a certain way. In some cases, because the patient has a preconceived notion about the efficacy of the treatment, it will influence the patient's capacity for "self-cure." For example, one study found that patients experienced more pain relief from name-brand aspirin than from generic aspirin because advertising and reputation lead the patients to expect the name-brand aspirin to work better. 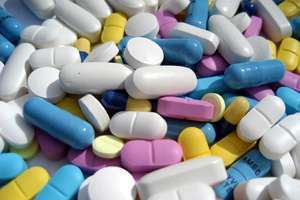 Functional MRI studies showed that there was a difference in brain activity within the pain centers of the brain based on an expectation of pain relief versus an expectation of more pain whether the pills had active ingredients or not, demonstrating a physiological effect based on expectation bias. The next type of psychological mechanism responsible for placebo effects is classical conditioning, or habituation. This is when the body learns to respond in a certain way to a stimulus, such as taking a pill of a certain size and color. One example in the literature is with psoriasis treatment. Psoriasis is a skin condition that presents as a rash and is triggered by various stimuli, including stress. In one study, subjects were given the full dosage of medicine to control their psoriasis. Their dosage of active ingredient gradually decreased until the subjects were taking a placebo. The physiological effects were the same as when the subject was taking the full dose. Somatic attention and feedback is another psychological mechanism and has to do with how much attention a person pays a particular stimulus. The way the person interprets that stimulus depends on his or her views on its importance. Often the patient's interpretation will dictate whether they are experiencing pain or pain relief and whether pain is from side effects or another medical condition. This mechanism will often lead to actual relief because, by construing something as relieving, it may actually induce physiological changes from decreased stress and anxiety. Given these various causes of the placebo effect, Alfano suggests that what is broadly termed the "placebo effect" should be investigated as separate groups based on its psychological cause. Furthermore, by investigating these phenomena, doctors can have empirical evidence for when it would serve the patient's best interest to employ confirmation-expectation bias, classical conditioning, or somatic attention and feedback as part of the patient's overall treatment. Alfano points out that this is not a reversion to paternalism, but is more about managing expectations and mitigating the amount of information a patient receives. More information is not always better, and in some cases, can have adverse effects. Respecting patient autonomy may involve getting patient permission to not describe the side effects because studies have shown that a patient is less likely to experience side effects if he is not aware of them. The caveat to this is that the side effects must be trivial or symptomatic, or some other options must be in place in case the patient does experience side effects. Importantly, incorporating these three different groups need not involve deception on the physician's part. Managing expectations does not require lying, deceiving or misleading someone. For example, Classical conditioning works even if you know you are being conditioned to a response since it is similar to forming a habit. Even in cases of somatic attention, the doctor could nudge or frame the situation in such a way as to change the patient's perspective, what Cass Sustein and Richard Thaler describe as libertarian paternalism. In this sense, the patient still has the option to choose the doctor's suggested treatment or not, but will benefit from the way the doctor frames the treatment. Alfano's article offers a paradigm shift in the way that placebos and placebo effects are typically viewed, and opens the door to further studies into the effects of these three psychological mechanisms, as well as others, that promote efficacy of treatments. These placebogenic practices are not alternatives to traditional treatments, but can be used to enhance treatments. The concepts of placebos and placebo effects refer to extremely diverse phenomena. I recommend dissolving the concepts of placebos and placebo effects into loosely related groups of specific mechanisms, including (potentially among others) expectation-fulfillment, classical conditioning, and attentional-somatic feedback loops. If this approach is on the right track, it has three main implications for the ethics of informed consent. First, because of the expectation-fulfillment mechanism, the process of informing cannot be considered independently from the potential effects of treatment. Obtaining informed consent influences the effects of treatment. This provides support for the authorized concealment and authorized deception paradigms, and perhaps even for outright deceptive placebo use. Second, doctors may easily fail to consider the potential benefits of conditioning, leading them to misjudge the trade-off between beneficence and autonomy. Third, how attentional-somatic feedback loops play out depends not only on the content of the informing process but also on its framing. This suggests a role for libertarian paternalism in clinical practice. Not mentioned is that this is a target article followed by commentaries and a reply to them.